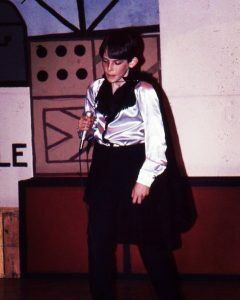 When Scott Spence was just a teenager entertaining friends at parties he knew he had a connection with music and so did his friends, but who would have ever known he would have a voice that would be so influential….that people actually listen to! Not seeing the possibility of a paid future in music & being told “You are not going to be able to make a living DJing”, he went towards the world of construction, right as it began to slow down around 2008. He then loaded up his DJ equipment and began to pursue a career doing what he enjoyed……although family at the time was concerned about this choice he knew he had to do what was to be done due to declines in the construction world. Scott had already been DJing weddings and other big events for extra money. 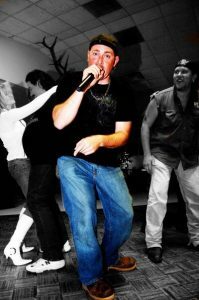 He began to work in local bars, MCing motorcycle events & Bike nights where “DJScottie” was born!!! This is when he met Sandee Clark ( with U S Rider Magazine ) they quickly teamed up for great charities & together they became “Just 4 Fun Events” which then led Scottie to the idea of creating an online radio station…..”Just 4 Fun Radio”!!!!! The Radio station work was something he was always intrigued by, with his bigger than life personality and firm belief in freedom of speech that would never be allowed on mainstream radio internet radio was a doorway to his vision. Instantly Scottie began working around the clock to build the online radio station. In the beginning, there were several hours of a continuous loop of “Walk This Way” by Aerosmith that played over and over until he realized, “Hey…WE ARE LIVE!” -and just like that-” Just 4 Fun Radio ” was born on November 11, 2010 @ 11:00 pm!! He began in a spare room of his house in Snellville, Ga that barely could fit one computer desk, that often would get so hot the computer would shut down. 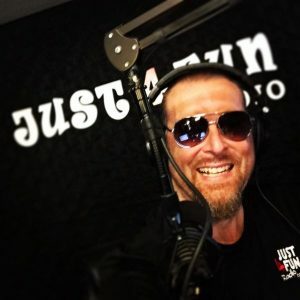 Just 4 Fun Radio has now grown into a larger studio in Conyers, Ga which consists of his mic plus 3 co-host mics that includes guest seating in studio as well. DJScottie eats, breathes & lives Just 4 Fun radio basically 24/7 and is constantly working to perfect the station. Since this has been completely self-taught, it’s a continual work in progress. He began the station solo but quickly added some friends to throw some variety and chemistry in the mix. First recruiting a dear friend “Kat” to sit in and give an edgy female perspective. Shortly there after, Crystal Miller, a friend whom also had prior radio experience, joined the show. Their radio chemistry quickly turned things up a notch which led to the introduction of the “SideKick” aka Chris Jones, who got his name due to all the crazy stunts he would perform for the show. During a live show the “sidekick” attempted to take the “throne” of Crystal and thats where “Queen B” was born. The trio began interacting with listeners in a Live show that included a online chat room, discussing anything & everything from racy dating advice to just crazy topics of the day. Considering it was internet based, the show was not edited or censored, so it gained popularity by being racy. The word began to spread fast as DJScottie hosted several large events including Cabin Fever that was the annual event intended to give back to the biker community for all the effort that they put into charity events all year long. It’s an all day party full of live music, vendors, motorcycle games and lots of personality from the FUN crew! Everyone knows that when Just 4 Fun Radio w/DJ Scottie & the Fun Crew is hosting it, it’s guaranteed to be a blast! As they entered their 3rd year, their growth included a fourth personality, the one and only Tony “WaterHead” Williams that brings another great character to the fun crew!!! In the past few years, Just 4 Fun radio has developed such an amazing following that’s allowed them to grow & reach out to a larger spectrum of people. In order to accommodate to more listeners while still keeping it all Just 4 Fun, Scottie has made the decision out of consideration for his sponsors & daytime listeners he’s made it PG13 during the day while including an all new morning show weekdays 7:30am – 10am, but still offering a more “Edgy” Live shows on week nights 7pm – 9pm. Since those first few years, Just 4 Fun has had all sorts of great personalities take part, and has its share of awesome talents, musicians, and more come by the studio or get together with the crew at live events! It really doesn’t matter what’s going on, or who’s dropping by, no matter what goes on, it’s always Just 4 Fun! With all that the future holds, including the possibility of a reality show, DJScottie wants to send thanks to everyone who has help to make his dream come true, also a very special thank you to Sandee Clark & Jerry Mc for both always supporting him!! Just 4 Fun just turned 7 years old! For DJ services please try our contact form here.